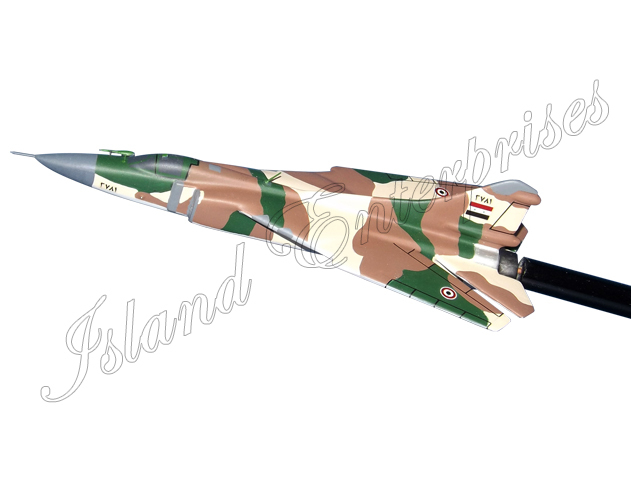 See our beautifully hand carved and hand painted SYRIAN Mig-23 Mikoyan-Gurevich Briefing Model mounted to a wooden rod. Customize and personalize this briefing stick any way you want. STICK LENGTH OPTIONS: 18" x 3/8", 15" x 3/8" or 12" x 3/8"
Remember, we offer a 100% money back guarantee, if you are not totally convinced you've bought the most accurate and highly detailed briefing stick available on the market! !